Stephen Lee Sides died in Pocatello, Idaho, after a long struggle with dementia. He left us peacefully and incredibly on the same day he was born, Sept. 25, at the age of 70. For his children Sheila, Scott, Sean, Joey, Molly, stepdaughter Lacey, his sister Donna, and his grandchildren Amber, Brandon, and Sammy, Steve leaves many memories of stick-handling and skating on his beloved homemade ice rinks, surprise sticky notes in lunches, piggy-back rides to bed, his love of aerial and map designing, and his unforgettable laughter and smile. Steve leaves many stories to tell: Born in Chicago, where he played hockey in the winters and baseball in the summers, he found a passion for building and constructing houses and automobiles, and met his first wife, Sharon, with whom he had three children. 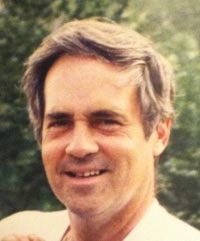 Later in life, he moved to Tucson, where he continued to pursue a career in building as a contractor, and met his second wife, Barbara, with whom he had two more children. Shortly after, they moved to Sun Valley, Idaho, his most cherished place to be, and found a wonderful community to raise their children. Within his first couple years of living in the valley, Steve discovered another love of building through river rock design for fireplaces. Steve leaves many marks on the ice rinks and ball fields in Sun Valley, Idaho, where he formed the Inter Mountain Hockey Association, The Rink Rats, and coached high school hockey, Sun Valley Junior Hockey, as well as T-ball and little league. He leaves his many neighborhoods in Illinois, Arizona and Idaho a little bit quieter as his friendly, charming voice is not there to greet passersby. His spirit joins the Sports Gods above but he’ll remain forever in our hearts and our memories. Thank you to our wonderful community of friends for your support and for sharing the many fond memories and moments with us. In lieu of flowers, the family asks that donations be made to Sun Valley Junior Hockey. His family would also like to thank the staff at Axis Hospice and Safe Haven in Pocatello, Idaho.